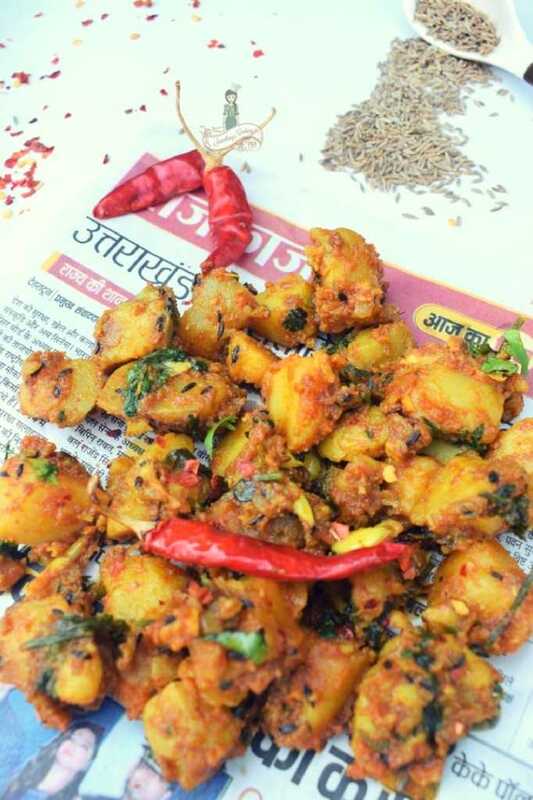 Aloo ke Gutke is a popular potato stir fry in the Kumaoni cuisine. This simple food is considered as an everyday dish in the households of Uttarakhand. Travel to the hills of Uttarakhand, and you’ll be welcomed with this humble dish in every household. When you stop by at a tea stall to grab a cup of hot chai while climbing the treacherous mountains, you can be rest assured that you’re going to find Aloo ke Gutke or Pahari Aloo served along as a snack. 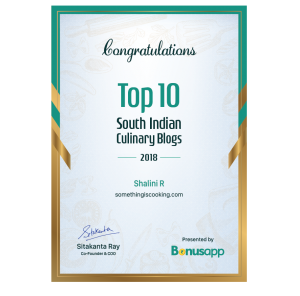 When I shared Bhatt ki Dal, another popular dish from the region, I had mentioned the difference between the two famous cuisines of Uttarakhand – Kumaon, and Garhwal. Kumaoni cuisine focuses on simple ingredients and high energy food due to the extreme weather conditions in the region. This is also the reason why only a handful of vegetables are available in the markets. Winter is an exception where you get all kind of fresh greens, veggies, and fruits and the subji mandi is a delight to visit. Kumaoni cuisine uses only the very bare minimum ingredients, most of the dishes incorporating potatoes. Potatoes are grown in abundance and thereupon the dish is quite popular among locals and tourists. I have noticed that the potatoes cultivated in Kumaon have an unusual sweet taste to it giving Aloo ke Gutke its unique flavor. My maid finds it amusing when I make potato stir fry almost every day for lunch. That is because P and I love every kind of preparations of the humble potato. That’s when she enlightened me about Aloo ke Gutke and needless to say, I asked her to help me prepare the dish. It was Yum! The dish wasn’t a proper stirfry as it wasn’t so dry in texture. But it wasn’t a gravy either. Gutke in Pahari means pieces. 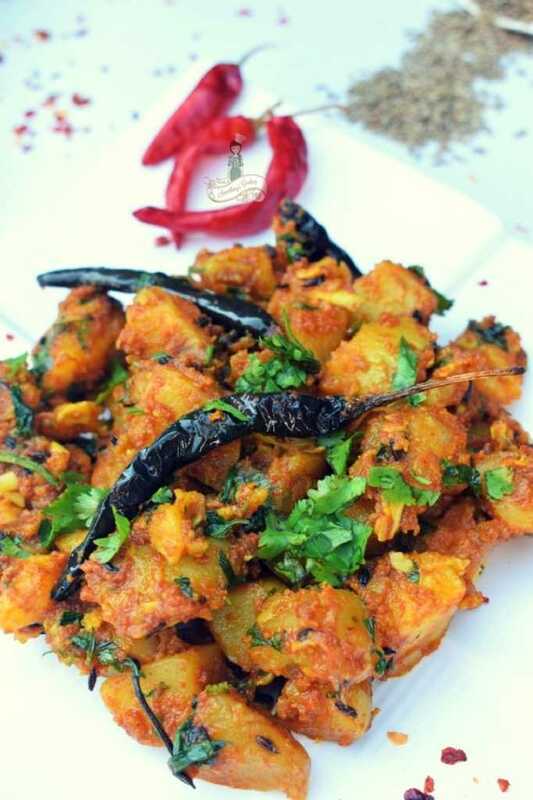 That said, Aloo ke Gutke is prepared by stir-frying parboiled potato pieces in various spices. 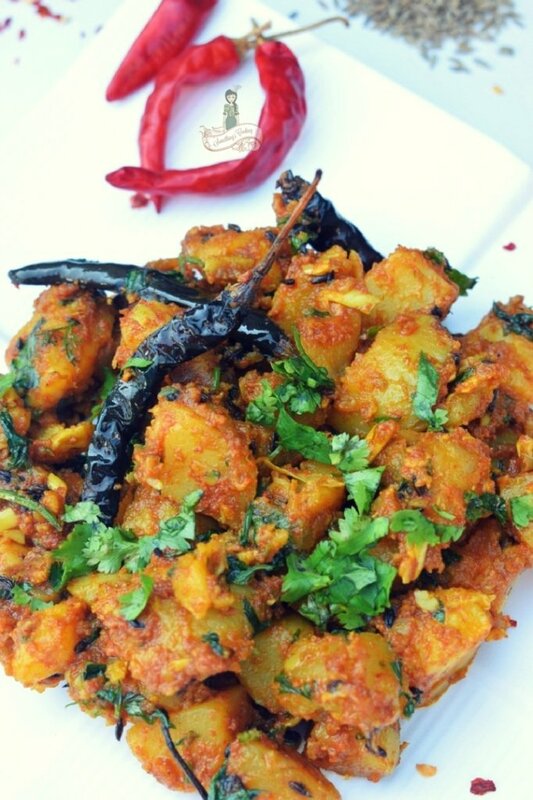 The traditional Aloo ke Gutke calls for cooking the potatoes in mustard oil and tempering with red chillies and spices. These spice powders are first mixed with little water to make a paste before using it for the stirfry. 20 minutes and you are done! Best served with rice or roti. The traditional Aloo ke Gutke or Pahari Aloo from the hills of Uttarakhand calls for simple ingredients. 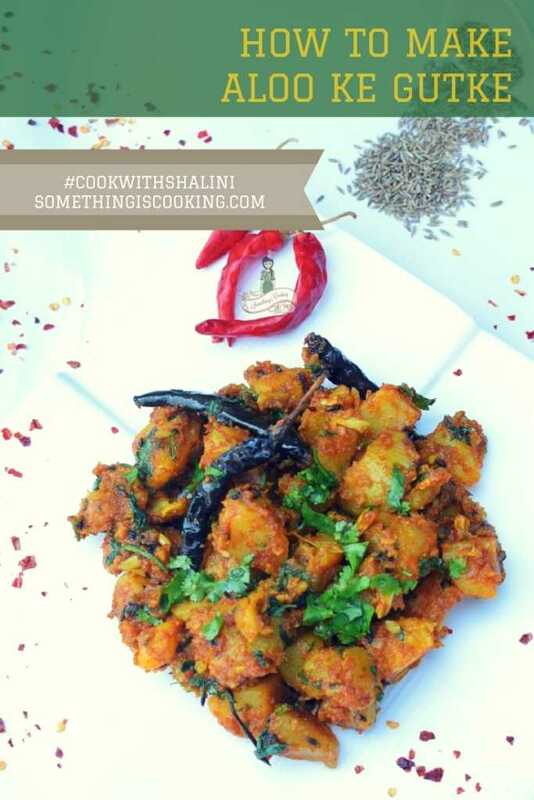 Easily prepared in about 20 minutes, the dish can be served as a side dish to roti or rice and as a snack with tea. Wash and parboil the potatoes. Once cooled, peel off the skin and cut into cubes. Mix together chili powder, coriander powder, turmeric powder and salt with water, to make a paste. Heat oil in a skillet and fry the dry red chillies. Remove and keep aside. To the same skillet, add cumin seeds. When it splutters, add asafoetida. Add the spice paste, give it a mix and add the cubed potato chunks. Give it a toss and let it cook for about five minutes on medium flame until roasted and well coated with the spices. Sprinkle cumin powder, mix and cook for a minute more. Turn off heat, garnish with fried red chilies and coriander leaves. Serve hot with rice or roti or as a snack with tea. Adjust the level of hotness as per your taste. You can substitute 1/2 tsp of red chili powder with 1/2 tsp of Kashmiri red chili powder for added color and reduced spice level. Do you like this recipe? Pin it for later use! Here are other recipes made using Potatoes. So simple and delicious this one is.